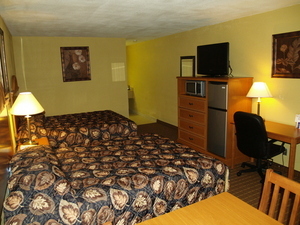 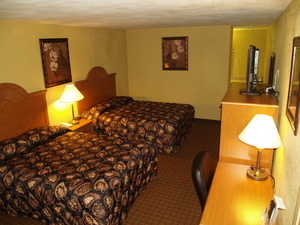 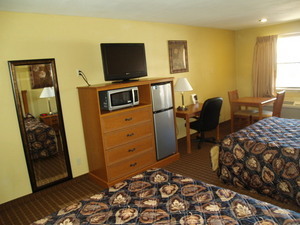 Max Occupancy: 4 Walk inside and relax in our brand new large room with two queen beds with pillow tops. 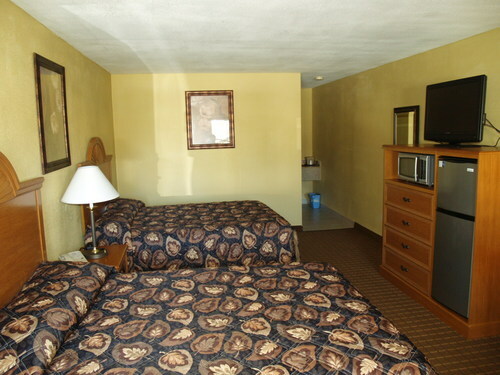 The room is also equipped with an 32" LCD TV, microwave, refrigerator with built in frozen, coffee pot, hair dryer, and an alarm clock with an AUX input. 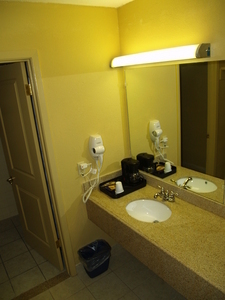 Internet, breakfast and water are all complimentary. We are closely located by Blue Bell Creameries and Blinn College.